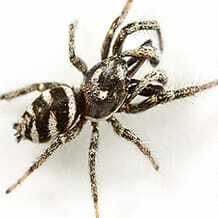 Zebra Spider – Salticus scenicus, a small jumping spider often seen on vertical surfaces such as walls and doorways. House Spider – Achaearanea tepidariorum, responsible for most cobwebs found in buildings. Spiders have two body parts (insects have three), eight legs (insects have six) and usually six to eight eyes (insects usually have two compound eyes). Their size, colour and markings differ widely from species to species. 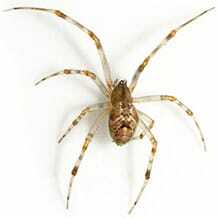 Spiders can be found almost anywhere and commonly live in our gardens, under rocks and in trees. They prefer warm, moist environments where there is ground coverage of clutter to shelter them from predators. 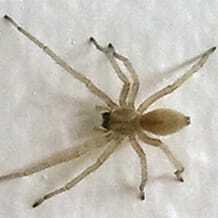 They are commonly found in our homes in closets, attics and basements. Spiders feed on a wide variety of insects and help keep insect populations in check so they too are providing pest control services for humans. It is normal to have spiders in and around your home and people that live near water and / or green spaces typically experience higher populations. Cannon Pest Control can provide a residual pesticide application if the number of spiders you are seeing is beyond your comfort level. 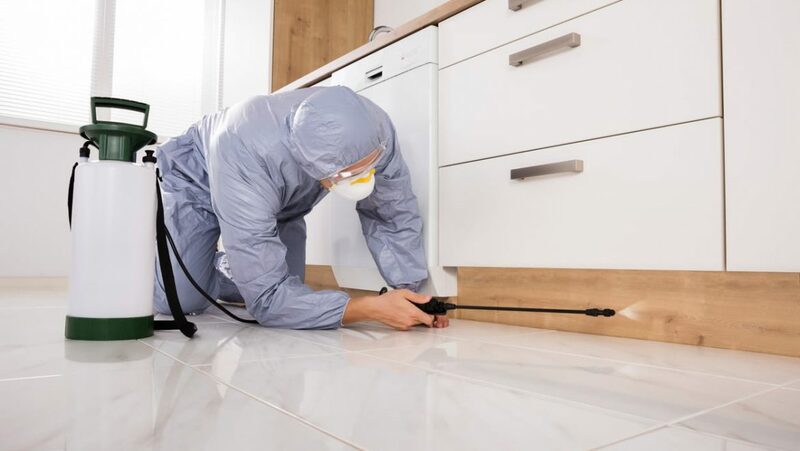 When Cannon Pest Control conducts a spider treatment we recommend that pets and occupants vacate the residence for a minimum of 4 hours. People with asthma, heart conditions, pregnant women and children under the age of 2 years should remain out of treated areas for 24 hours.